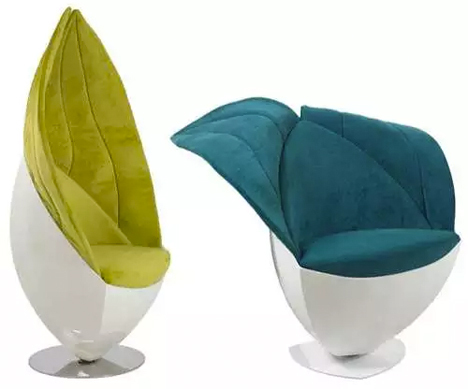 Mold the petal-like backrest panels of the Limbo Chair into a high, cozy back that cradles your body for comfort and privacy, or fold them back for a more open feel. The Private Rocker by Kyle Fleet feels like a private getaway when you’re tucked between the sizable wooden side-panels. Wool lining cuts down on background noise, and an accompanying leather ottoman enables comfy seating positions. 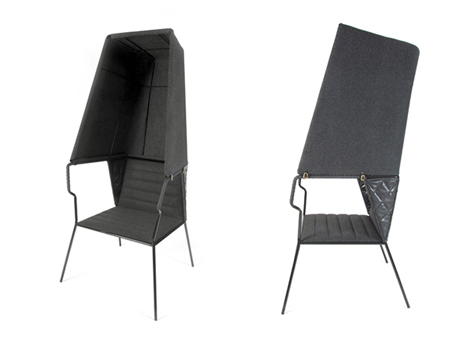 Use the basic black Booth Lounge by Addi Design with or without its removable soft hood. The chair features a quilted exterior and hand-wrapped leather accents. 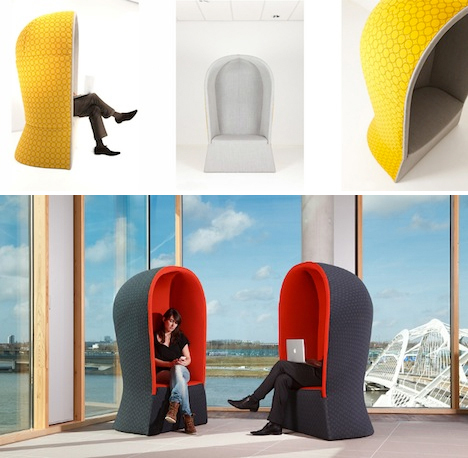 The EarChair by PROOFF is basically a chair that thinks it’s a soundproof room. 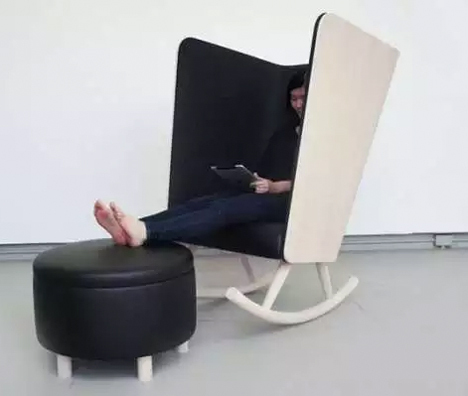 In addition to the insulating wings, it features an integrated arm-rest table. 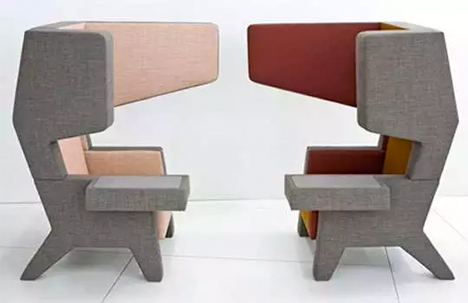 Dutch designer Marijn van deer Poll took inspiration from traditional wickerwork beach chairs to create the ‘Ahrend Kaigan,’ a chair designed specifically for open-plan offices.